St. Johann in Tirol is dreamily beautiful in both summer and winter alike. The Kitzbüheler Alpen nestle between the impressive Kitzbüheler Horn and the imposing Wilder Kaiser. 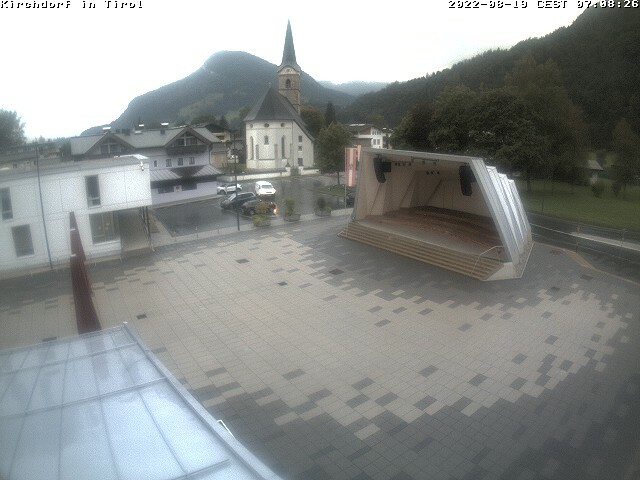 The webcams provide you with a live look at St. Johann in Tirol, since live-cam pictures speak volumes. The Kitzbüheler Alpen provide even more web cams. Sneak a peek into the surrounding regions, which have the Hohe Salve, Brixental, Kitzbühel and Pillerseetal. The numerous webcams in the Kitzbüheler Alpen provide you with a live insight and also give you an idea of what the latest weather in the mountains in the Kitzbüheler Alpen are like.